WHEN IS A CAVE NOT A CAVE? While exploring the woods near their bike trails, four soon-to-be eighth grade boys make an exciting discovery: a real cave! Of course they decide to explore it, and they make a pact to keep it as their very own secret. But Steve breaks the pact in order to win the attention of the neighborhood girl that they all dream about: Gina Lawson. To their surprise, Gina wants in on their adventure. As the five of them explore further and deeper, they begin to realize that their cave is not simply a cave – but does the strange pocket of darknesss merely pose serious danger, or does true evil lurk within? It only costs $0.99! For 25 THOUSAND words! (maybe a few more, actually.) Grab it today! 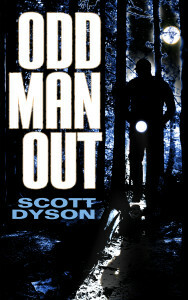 This entry was posted in Uncategorized and tagged Amazon, Deadlock Press, fiction, horror, new release, novellas, Scott Dyson, self-publishing on May 16, 2015 by Scott Dyson. I have reduced the prices of everything I have published to $0.99! Is that good news or bad? That remains to be seen, I suppose. If the lowered prices result in any sales at all, it’s great news! If not, well, then, it isn’t any different from what’s going on now. The truth is, until the 13th of May, I hadn’t seen a sale in over a month. One of my short stories, “Night Family,” was purchased on that day and has not been returned. The last three before that had been returned. Why? Because whoever downloaded them was disappointed that they were too short? Or because they realized that they’d already read them as a part of either 14 Dark Windows or The Striker Files. I’ve redone the descriptions in a very minor way, making the first line an indicator that the stories are contained in larger collections, also costing $0.99. Hopefully that will help. Also it will hopefully take away the “being upset at the length” factor, even though every one of them clearly shows the number of pages AND I state the length of the short stories in the blurb. 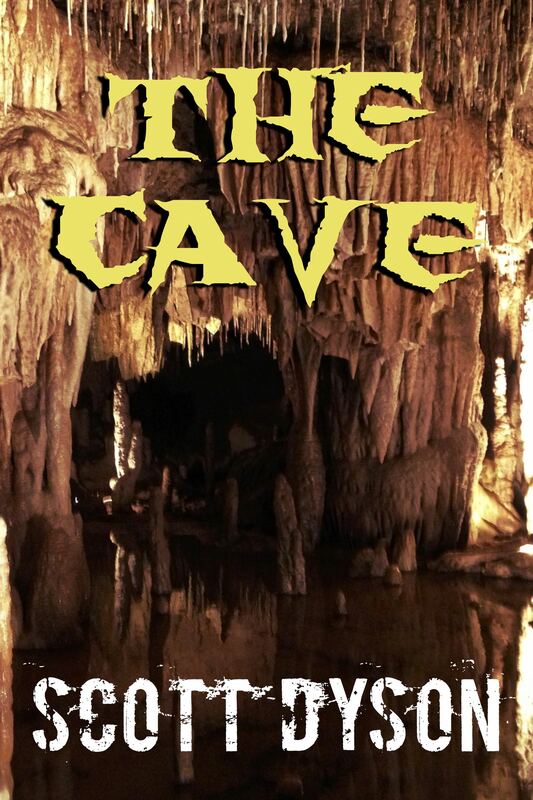 So now everything is $0.99, including the 25K novella THE CAVE which will be out very soon. The short stories are also in KDP Select, so they can be downloaded as a KU borrow or used as a “Prime” borrow in a given month. And that’s all of them. Except for THE CAVE, which isn’t live yet on Amazon. Take a look, assuming anyone sees this post. 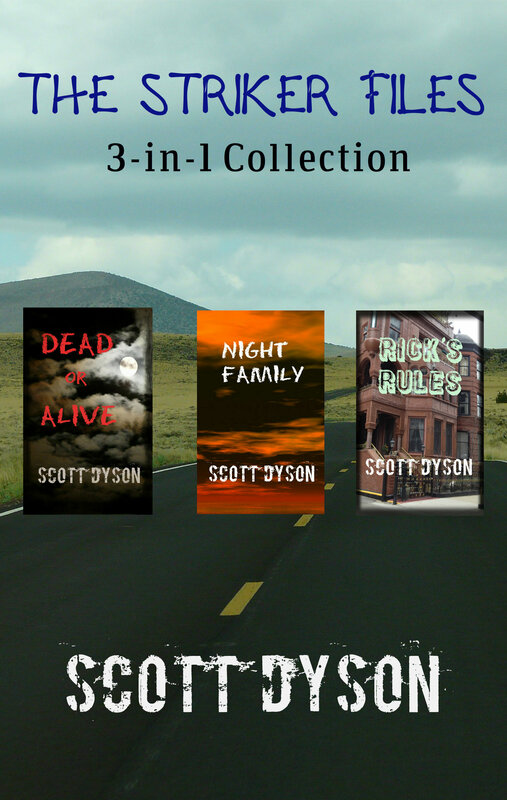 This entry was posted in Uncategorized and tagged Deadlock Press, ebooks, fiction, horror, Scott Dyson, self-publishing, short stories, short story collection on May 15, 2015 by Scott Dyson. My post from yesterday talked about what scared me, and I promised that I’d write something about why I write what I write, which is mostly horror. The short answer is that it’s what comes out when I start writing. So there. There’s gotta be a longer answer, right? Well, let’s see. I write horror because I think it’s fun to imagine scary scenarios. There’s usually a morality play at work in such stories; even if they glorify gore and torture, there’s a good-vs.-evil thing going on. You the reader root for the good guy (usually). I cut my fiction teeth on mysteries when I was small. All mysteries seem to me to be “small horror” stories in a way. Something bad has happened. The mystery is who did it, or why. Sometimes it’s a puzzle story about the act of figuring things out. Think of thrillers. Murders, terrorists, evil government agencies, disappearances, bombs, plane crashes — all these things can be elements of a horror novel. But the focus is on the good guy solving the problem, not so much on the victim. I remember a mystery I read when I was younger titled THE BLACK SPANIEL MYSTERY (or something close to that). I remember that these puppies were disappearing. Or rather, they were being replaced. But one of the kids noticed that the markings of the puppy were not the same as the markings on the original puppy. Why? I can remember feeling for those puppies, as well as for the kids who were hurt by the puppies’ disappearance. That the kids took it upon themselves to solve the puzzle made it a mystery. But what if the puppies were being stolen just to hurt the kids? Or they were going to do a “Cruella DeVil” on them and skin them for their lovely fur pelts? That’s horror, no? Further, I moved on to science fiction. Asimov and Heinlein were my two main sources of entertainment for a long time (considering how many books both of them wrote, you can well imagine that getting through their catalogs took a few years…). Again, we had mysteries, even in something like FOUNDATION, where the whole book is basically a search for the Second Foundation. Along the way there is The Mule, a mutant who can rule the universe with his advanced mental powers. That’s sort of scary, isn’t it? He’s almost an alien in those books, and here he is taking over the human race. Admittedly, Asimov’s emphasis doesn’t focus on any horrific elements, so it remains firmly in the SF realm. Then finally, I found Stephen King. Now here was horror. We had a psychic girl going destructo on her high school prom, we had vampires taking over a town, we had the ghosts of evil in a big hotel recruiting the caretaker and convincing him to murder his snowbound family, we had a psychic who sees the end of the world in a politician’s handshake and acts to stop it, we had a virus which kills off 99.4% (or something like that) of the population of the U.S., setting up an epic battle between good and evil. We had ghosts, we had aliens, we had monsters, we had zombies from a pet cemetery…all manners of horror. All done with style. I didn’t really read horror to be reading horror for a long time. I just read authors. Dan Simmons wrote some horror (Summer of Night, Carrion Comfort). Robert McCammon did, too. So did Orson Scott Card (Lost Boys) and Dean Koontz. Finally I found authors who wrote nothing except for horror. Richard Laymon, Edward Lee, Jack Ketchum, Phil Rickman, Melanie Tem, Nancy Holder, Poppy Z. Brite… So many names, so many scary stories. The tales varied. Some were gross and bloody, some were moody and ephemeral. I wanted to write science fiction, but nothing I wrote seemed to really work all that well. Although I have a science background (chemistry major, lots of health sciences in dental school, and interest in the space program dating to my childhood, so I always took in information about the goings-on in science), my stories never seemed really plausible to me. Maybe that was the problem. Maybe I knew enough to know that what I was thinking wasn’t really going to work, but not enough to figure out a way to make it believable. Anyway, as big of a fan of SF as I am, I’ve only written three short stories that are more or less in the realm of SF. Everything I write seems to always come back to either the supernatural, or to something evil. 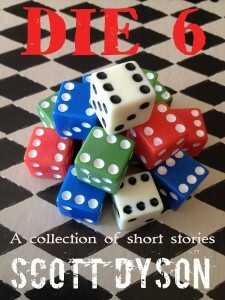 I’ve liked that in short stories I can sometimes have the bad guys win (see my short story GARAGE SALE which is found in THE STRIKER FILES 3-In-1 COLLECTION, or my story THE FUN HOUSE in DIE 6). I like going in that direction with my stories. It seems natural to me. I like stories about characters. I believe that most horror, at least most entertaining (to me) horror, is character-centric. If you don’t care about the victims, then you won’t care much about their story. And there is always a very important struggle between good and evil, between right and wrong. 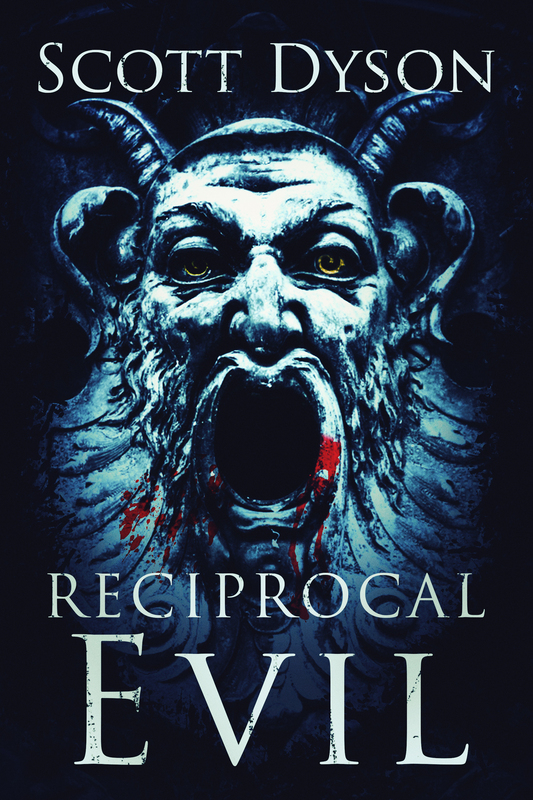 To me, that’s the cool part of a story in the horror genre — it’s the “good will rise over evil” aspect, the fact that while not everyone might live through this evil, in the end, somehow, the good characters will triumph. Perhaps it will be at a steep cost, perhaps their lives, or the lives of their loved ones. Sacrifices have to be made. That’s a good story right there, in my opinion. It’s a universal story; one that can be adapted across genres. Maybe all, or most, good stories have it at their core, somehow. Recently I read a book called SEASICK by Iain Rob Wright. In the book a troubled cop on holiday finds that he’s reliving a day over and over and over and over and… well, you get the picture. It turns out (SPOILER ALERT, though I think that even if you know the end, you can probably read the book and enjoy it because it’s a pretty fun read) that there is a killer virus on the ship, released by terrorists, and when the ship reaches the dock, it’s going to infect the port, and the world, and everyone’s gonna die. How is the cop going to get out of this? I like writing character-driven stories. I think that most of my stories start with the characters and move on from there. I don’t know if I succeed. 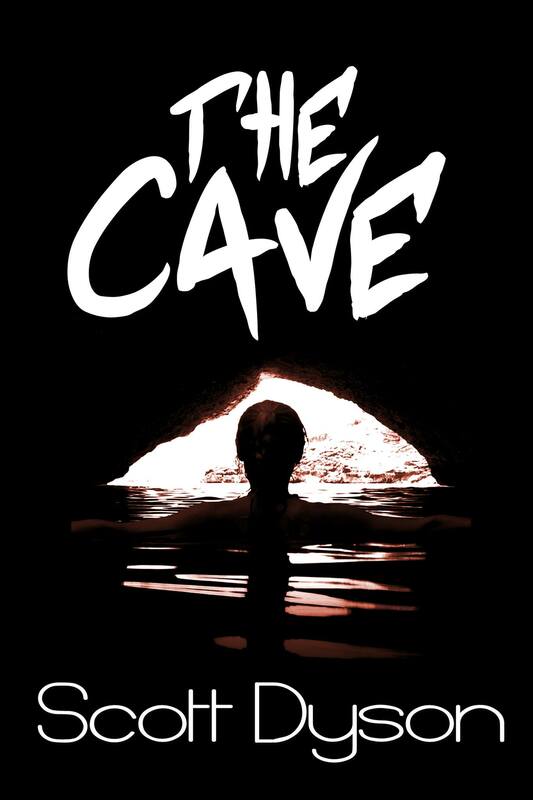 Read something I’ve written (all short stories, until THE CAVE goes live sometime this weekend, then I’ll have a novella in the mix as well) and come back and tell me what you think. It happens that most of my stories end up being horror in some way, but they’re mostly just stories. One of the best horror series I’ve read in recent years is F. Paul Wilson’s “Repairman Jack” series. Why is it so good? 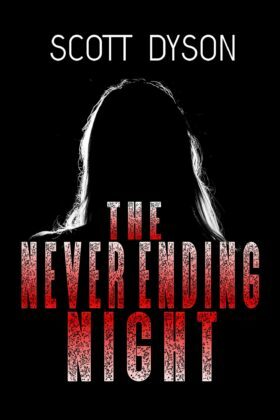 Because Jack is facing off as the champion of a supernatural entity, and opposing another, more involved supernatural entity, but the horrors are a mix of real-life horror and horror caused in an unbelievable way by something supernatural. Because Jack is fighting for himself as a sort of every-man, and his family, and even for people he doesn’t know but shares humanity with. Because in the end you just have to know what’s happening, how it’s going to resolve, and what will become of Jack and Gia and Vicky and Abe and others. It is a character-driven series, in my view, and they are the type of books I love to read, and aspire to write. Anyway, that’s a long answer as to why I write horror. Mostly it’s because those are the kind of stories that I make up. Lot of words to get back to that short answer. Sorry! This entry was posted in Uncategorized and tagged F. Paul Wilson, fiction, horror, science fiction, Scott Dyson, short stories, short story collection, Stephen King, thriller, writing on May 12, 2015 by Scott Dyson. I started off thinking that I should write a post about why I write what I write. As anyone who takes a look at my Amazon page can see, I write mostly horror. My contribution to the anthology QUANTUM ZOO was NOT horror; it was science fiction, in that it was set in a far-off future where people don’t really live on Earth anymore, except for those needed to keep the planet running. Earth is a sort of zoo-planet (hence the link to the zoo theme of the anthology) and without human interference strange and wonderful things happen. (I’m considering releasing it separately for $0.99 but for now the only way to read it is to get QUANTUM ZOO!) Also, two of the offerings in my collection DIE 6 are not horror: one concerns the possibility of uploading a conscience into a computer network, and the other involved time travel. But everything else is horror, or at least contains supernatural elements, even when the story itself isn’t horrific. (SARAH’S PUPPY, THE MOMENT, and GHOST OF LOVE in the collection 14 DARK WINDOWS come to mind, as do BLOOD TIES and THE TOOTH FAIRY in DIE 6.) 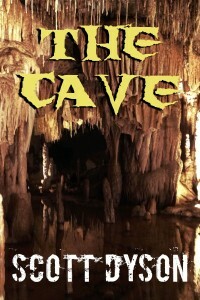 And the forthcoming novella THE CAVE is horror also. 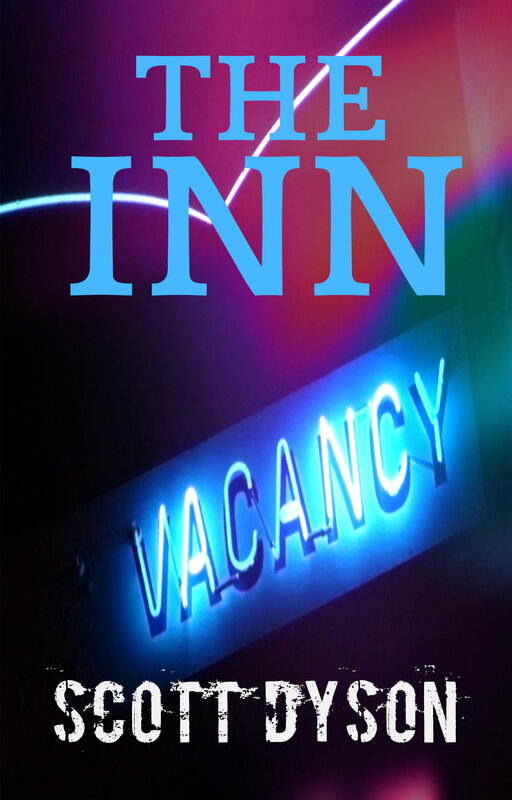 I also have another work tentatively titled THE INN (but that will change, I hope) and one called RECIPROCAL EVIL, both of which are a bit longer (38K and 45K respectively) and both are straight horror. Not gross-out horror, or splatterpunk horror, but definitely horror. So I started thinking about why I write in that genre, and what it says about me, and I realized that many of the things I write have a “damsel in distress.” Why? I don’t know. I think I can’t imagine very much that is more frightening than a threat to a woman might be. Why is it always a woman? Why not a man? Again, I don’t know. I don’t think of a man being terrorized by a serial killer or something supernatural as being particularly terrifying, though when I read works by other authors, I see that it can be. When I think back on the things that really frightened me in my life, to a point that I lost sleep after seeing or reading such things, I came up with two examples. And no, it wasn’t Jason or Freddy chasing around pretty damsels, which perhaps one might think I would find frightening after reading some of my stuff. It also wasn’t something like JURASSIC PARK, or GODZILLA or any of those types of horror films. It wasn’t SALEM’S LOT or THE SHINING, and it wasn’t Richard Laymon’s or Ed Lee’s work. I found them to be (mostly) pretty interesting stories that grabbed me and made me keep reading, but I didn’t stay awake at night thinking about them. What scared me was HELTER SKELTER. I think I read it in high school, in the late 1970’s, and it really affected me back then, so much so that I still think about it today. The second thing that scared me was a movie called DRESSED TO KILL, which starred Michael Caine and Angie Dickinson and was directed by Brian DePalma. I don’t know why it creeped me out so much, but it definitely did a number on me. I had dreams (nightmares?) about it. And the prosecutor’s account of the Manson Family crimes scared me to the point where I couldn’t fall asleep, certain that every sound in the house was some nutcases crawling around and preparing to kill my whole family. I don’t know if I’d have the same reaction to that movie, or that book, today. Maybe I’m too jaded, too grown-up now to really be afraid of anything I read or see. I’ve seen films and read books that seem on the surface to be far scarier. But none of them bother me. My own stories don’t bother me either; I hope they’re entertaining but they don’t scare me any more than Bryan Smith’s works, or J.A. Konrath’s or Blake Crouch’s stories, or Tim Miller’s or Matt Shaw’s books, or John Everson’s tales do. As I think about it, William Malmborg’s works have made me think and creeped me out, if not to the point where I lose sleep over them. And one of the most frightening short stories I’ve read in a long time was J. Michael Major’s “A Letter To My Ex” which was published in a SPLATTERLANDS anthology. Scary stuff. All-too-human horror on both counts. I think I’ve been influenced a lot by Malmborg’s books, especially in writing THE INN. I have two topics to write about this week before the weekend release of THE CAVE: first is sort of a continuation of this post, a bit more about why I write horror instead of SF or mystery or thriller novels, and second is about how my writing career (such as it is) is going and why I’m lowering all my prices to $0.99. Probably I’ll write and post them on Wednesday and Thursday, right before I formally announce the release of THE CAVE. This entry was posted in Uncategorized and tagged horror, J. Michael Major, Personal, William Malmborg, writing on May 11, 2015 by Scott Dyson. My latest work, THE CAVE, is finished. I had hoped to have it available by this weekend for Kindle, but I didn’t have enough time to get all the finishing touches done on the file. The photo credit goes to my wife; it’s a photo she took at a cave in Wisconsin called “Cave of the Mounds.” The cover composition was done by my son Kevin. When I have more news, like the links to the ebook, I’ll post it here and on Facebook! 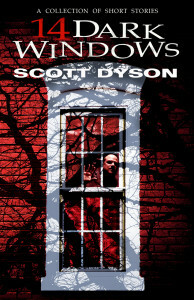 This entry was posted in Uncategorized and tagged cover art, ebooks, fiction, horror, novellas, Scott Dyson, short stories on May 3, 2015 by Scott Dyson.